American rapper T.I. caused controversy last week when he posted a video on his Twitter account depicting First Lady Melania Trump in a very compromising position. The video was a teaser for his new album Dime Trap and it has gotten not just his fans talking, but Melania’s team at the White House. Captioned ‘Dear 45, I ain’t Kanye.’, the video was posted just one day after Kanye West’s controversial visit to the White House and is clearly a dig at President Trump. The video begins with Donald Trump getting on his plane while a voiceover questions why Melania may not have been with him. It then cuts to T.I. in room looking very similar to the Oval Office in the White House, before he is swiftly joined by the Melania Trump lookalike. She is dressed in just a trench coat, emblazoned with the words ‘really don’t care do u?’ – making reference to the time the First Lady caused uproar when she wore the controversial jacket en route to a child detention centre back in June. ‘Melania’ strips, taking the jacket off and dropping it to the floor before she stands on T.I.’s desk, giving him a lap dance. T.I. then leaves the room with the Melania lookalike following, suggesting the pair are headed to a bedroom. The video then cuts to footage of Trump, supposedly unaware of the goings-on, driving a golf buggy and getting on with his business. The tweet quickly went viral, having 27K retweets and 75K likes at the time of writing (October 17). However, reactions are mixed. Some people are in support of the rapper, thanking him for using his celebrity status to call out the president and not shying away from the matter. He had many people stating they never listened to his music before but would as a result of this stunt. However, many are criticising T.I. for using Melania as a tool to vent his frustrations at the president. Some said the video was ‘degrading to women’, while others said it was not fair of him to portray Melania in such a light just because he disagreed with her husband’s politics. And the criticism doesn’t stop there. 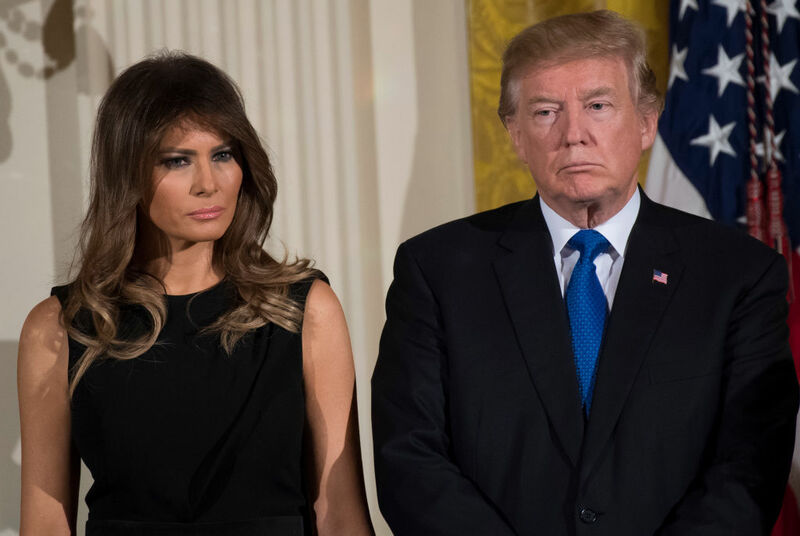 It seems the video has made its way into the actual White House, as the First Lady’s Director of Communications, Stephanie Grisham, has since replied to the Tweet and has made her feelings clear. Like it or not, she is the first lady and this is the White House. It’s disrespectful and disgusting to portray her this way simply because of politics. These kinds of vulgar attacks only further the divisiveness and bias in our country – it needs to stop. Melania herself has not responded directly to the video, but her @FLOTUS account did retweet Grisham’s tweet shortly after she posted it. T.I. is yet to reply, but it appears he has achieved what he wanted as more people than ever are talking about his album. I wonder which rapper will be the next to make a bold political statement this month. I’m expecting something soon, these things do come in threes after all.